I know people who count historical romances by Judith McNaught among the books that made them romance readers, but there was always something in those books that kept me from embracing them fully. However, two of her contemporaries—Paradise and Perfect—are on my all-time top one hundred list. The former particularly is one of a select group of novels that I consider as close to flawless as a book can come. A quarter of a century after I first read Paradise and after countless rereads, I can still read it and lose myself in the world of the book. When the book opens, Meredith Bancroft, the only daughter of Philip Bancroft, an immensely wealthy man whose family owns an upscale Chicago department store, is young, not yet fourteen. Awkward physically and socially, she is a misfit among her peers and among her working-class classmates at the Catholic school her father chooses for her. 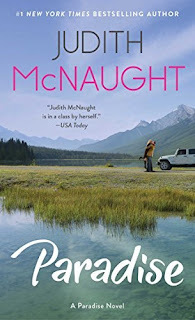 She has one friend in each group: Parker Reynolds III, an eighteen-year-old golden boy with a kind heart, whose father is the Bancroft banker; and Lisa Pontini, the bright, assertive daughter of a pipe-fitter, whose large, lively Italian family Meredith envies. These friendships thrive, but by the time she graduates from high school, the ugly duckling has become a swan who is less of an outsider. Meredith loves her controlling, emotionally distant father, and she tries to please him. But it becomes clear that far from allowing her to choose the college she wants to attend or allowing her to prepare to become the next generation to head Bancroft’s, her father’s plans are for her to be “finished” at an institution that will ensure she has the social skills to lead the kind of life his very proper mother and grandmother led. Meredith finally stands up to him. The resulting argument explodes, and her father attacks her with ugly accusations and name calling. That night she meets Matt Farrell. Matt has big dreams too, but his upbringing has been worlds removed from Meredith’s. He grew up in a working-class family, working in a steel mill to support his family after his mother’s death and to pay off her medical bills while his father found solace for his grief in a bottle. He also worked his way through college. With an MBA in hand, he plans to work on an oil rig in Venezuela for two years. The bonus money will fund his plan for achieving his dream of wealth and power. Meeting Meredith Bancroft is not part of his plan. Neither is marrying an eighteen-year-old who is pregnant with his child, but he likes Meredith, and, despite their differences, he believes they can make their marriage work. But Meredith’s father, furious about her marriage to a nobody, takes interference to the level of fine art, masterminding a misunderstanding that leaves Meredith and Matt estranged. Each holds the other responsible for a failure that actually rests on Philip Bancroft. They divorce, and they both go on with their lives as if their brief marriage had never taken place. After more than a decade, they meet again. Matt is CEO of Intercorp, an LA-based conglomerate that is buying a multi-billion-dollar electronics company in Chicago. Meredith has become a vice-president at Bancroft’s where she is battling the board about her plans to expand the store to other states. Both are involved with new people, and the wounds they inflicted on each other have not fully healed. Emotionally and—to their great surprise--legally, the bond that connects them is not severed. But the obstacles that separated them when they were younger have not disappeared. Indeed, they are more complicated than they were eleven years earlier. This is a big book, literally and metaphorically. McNaught takes seven hundred and twenty pages to tell Meredith and Matt’s story. She has the space to show them as young people caught up in their own struggles before they meet. The reader is invested in the characters before the Big Misunderstanding occurs. Caring about the characters and believing in their inexperience and vulnerability makes accepting the misunderstanding easier. Their wealth and good looks could make them little more that pretty images who “glitter when they walk,” but McNaught makes Meredith and Matt likable, sympathetic, genuine human beings. The secondary characters add to the novel’s appeal. I especially enjoy Meredith and Lisa’s friendship. Their personalities balance each other, and their loyalty to each other runs deeper than any bumps in the friendship. Another benefit of the book’s length is an ending that ties up every loose end in a blissful HEA gift to the reader. The first time I read this book in the closing decade of the twentieth century, I cried, I laughed, I sighed, and I said to myself, “Oh, I want to read this one again.” Rereading it in the second decade of the twenty-first century, my reaction is unchanged. I highly recommend this golden oldie as a first read—or as a reread. I've still not read her although I do plan on it some day - thanks! Love it and the few others I have read. This book is on my keeper shelf! This is one of my favorite books, too. Not many authors can write historicals & contemporaries equally well. Judith McNaught easily juggles humor and angst, so her stories stay with you. @PJ - I read in a JM interview that she originally envisioned Lisa as betraying Meredith. I'm glad she kept them best friends. 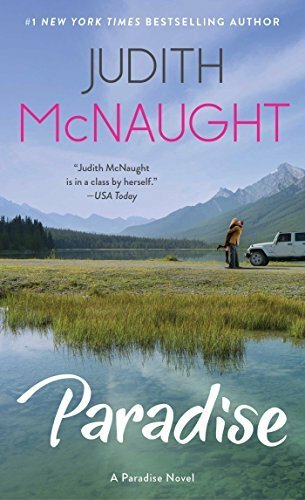 Judith McNaught is the reason I started reading romance. I had always secretly laughed at women who read those books. What in the world could they find there? I read Until You and I was blown away. One of the saddest things about reading for me is the fact that she no longer writes. I have an entire shelf filled with books by Judith McNaught. I have not read them recently. You have reminded me what I am missing. I love this book. I've read a few times already. I have not read this book but your review is so glowing, that I plan on searching it out and indulging. I've not read her but this sounds good - thanks. I've been tempted to try it in the past but because of the love/hate relationship with Judith McNaught historicals, I've been very skiddish about trying her contemporaries. But seeing as how you've rarely steered me wrong in the past I think I might put this on my TBR pile in the near future!